The VST audio editor Audacity is a freeware which features an amplitude envelope editor, a customizable spectrogram mode and a frequency analysis window. This new version 1.2.3 fixes a bug that causes random crashes on Mac OS X. It also includes several updated translations, and some other minor bug fixes and improvements. 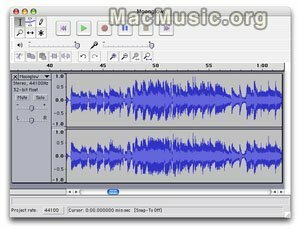 Audacity is available in MacMusic softwares section.